Piano accordions for rent. 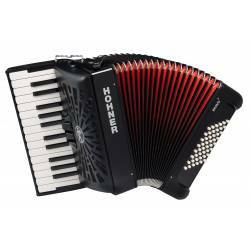 This selection of piano accordions for hire is everything you need to give the piano type a go under the best of conditions, or simply to try out different models before making a purchase, while enjoying a quality accordion that is continously checked, overhauled and serviced at our workshop before being rented out by our store. 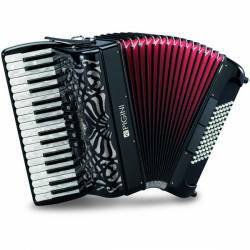 Piano Accordions There are 4 products. 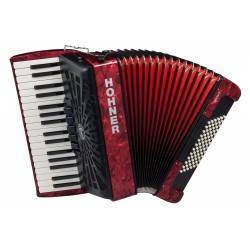 Hohner Bravo II for Hire. An incredibly compact and lightweight piano accordion for early study, featuring 26 keys on the right hand, and 48 bass buttons on the left hand. Comes with shoulder straps and case. 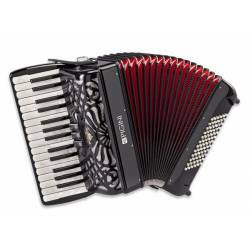 Also available for rent, the Pigini P36/3 is a compact, lightweight and yet versatile piano accordion with 3 voices on the right hand. High-quality Italian craftsmanship!